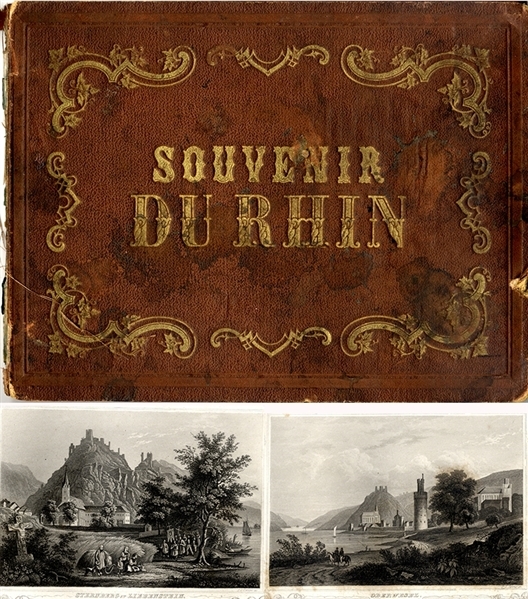 Book, titled on the cover “Souvenir DU RHIN” with no date or printers’ identification. It contains 33 engraved plates, each 10” x 7-1/2” with its’ own title, c1850. Covers are loose, boards are dirty, but the engravings are clean and fresh.